She was speaking on her return to the Ukrainian capital Kyiv on Sunday (10/06) following a visit to conflict-affected areas of Eastern Ukraine. 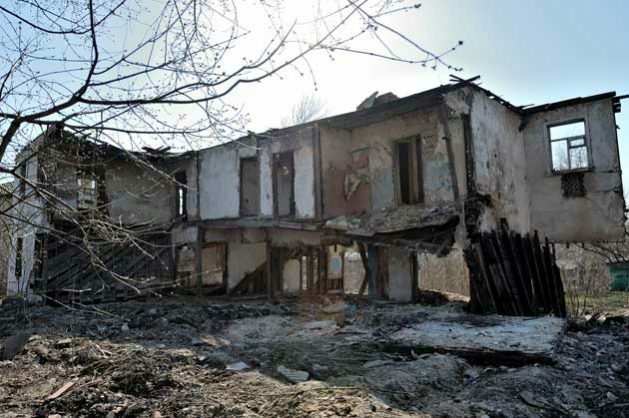 The conflict in the east of Ukraine has escalated over recent weeks, causing widespread destruction and casualties among military and civilians, aggravating the suffering on both sides of the so-called contact line. Despite all this, crisis response efforts in Ukraine remain underfunded, with the Humanitarian Response Plan for last year only funded to the tune of 37 per cent. This year’s plan has only received 17 per cent of the USD 38 million sought. Regional Director Szabados visited the country to show IOM’s solidarity with conflict-affected communities, spending time with the communities, staff, donors, and partners in the country. IOM provides direct humanitarian aid, employment training and grants, supports initiatives aimed at social cohesion and peacebuilding, and helps rehabilitate social infrastructure. Since the annexation of Crimea and outbreak of the conflict in 2014, IOM has assisted over 245,000 internally displaced and conflict-affected persons. Meeting with Regional Director Szabados, Vadym Chernysh, Minister for Temporary Occupied Territories and Internally Displaced Persons of Ukraine, noted that “it is of crucial importance to assist the most vulnerable among both displaced and local populations for successful conflict prevention and peacebuilding, as IOM does”. On her return from the Donetsk Region Szabados spoke of the “heartbreaking stories” she had heard and seen. She praised the resilience of those who had been able to start their lives from scratch, developing successful businesses or finding employment in their new communities. “IOM provided them with additional resources – assets and some training – but it is their own motivation and courage that makes the result so impressive”. “The international community’s involvement is vital in assisting the most vulnerable; supporting millions of conflict-affected Ukrainians and strengthening recovery. The people of Ukraine must be able to get back on their feet and build a future filled with hope,” added Szabados. “It is time to act”.